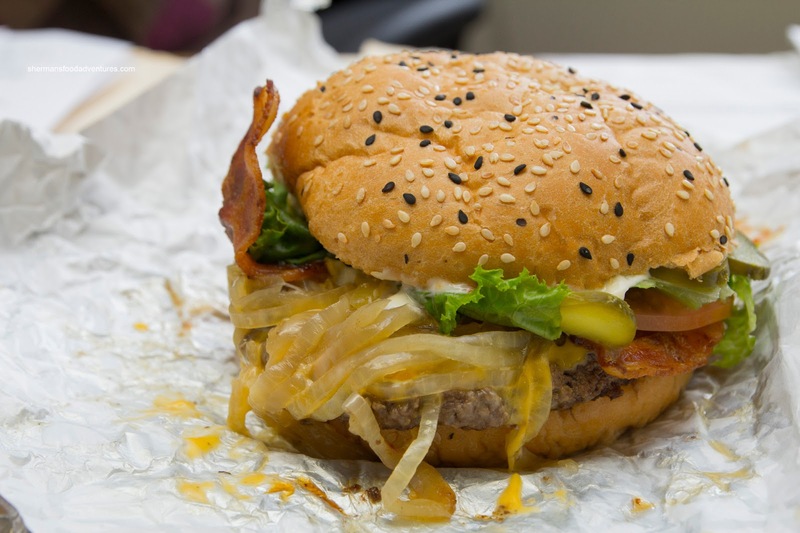 For a relatively large North American city, Vancouver is not endowed with great burger joints. Sure, there are some good ones such as Romer's, Moderne, Splitz, Burger Heaven and Stackhouse. 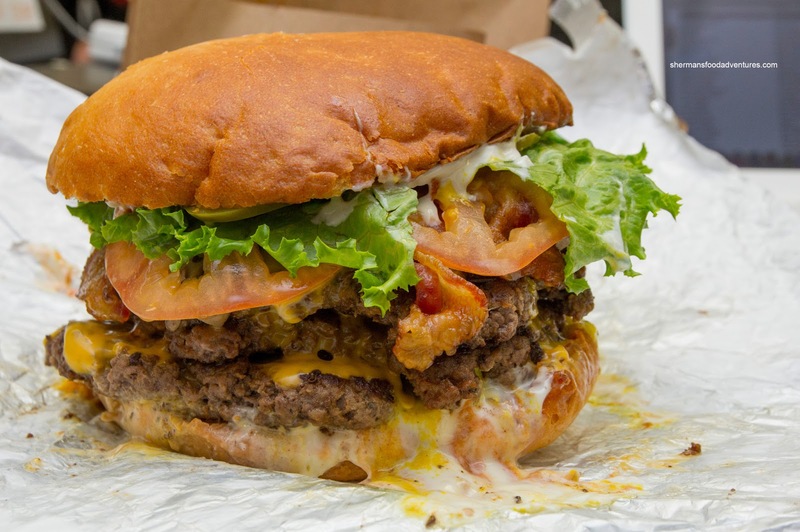 And I'm not going to include Fatburger or Five Guys because they are not unique to Vancouver since you can get them practically everywhere. Not that I don't like them, I just want to focus on local joints. Of course there is also the very respectable The Burger at Cactus Club and the ones from Vera's, but I would like to leave the big chains out of this (Romer's and Splitz aren't big enough chains yet to earn that distinction). Now, other than Burger Heaven, all of the aforementioned joints are quite polished and some have an upscale slant. 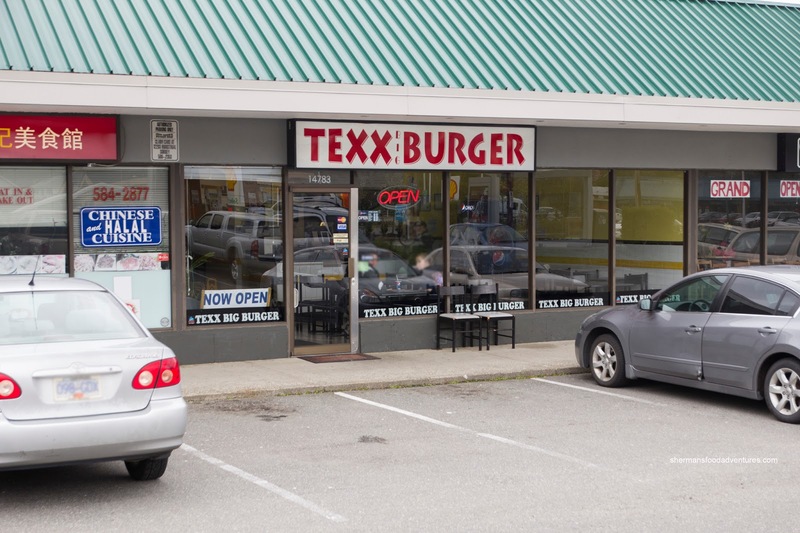 Enter another player in town, Texx Big Burger out in Surrey. Decidedly simple and basic in decor, this joint serves big, fresh burgers at a reasonable price. I picked up a few items including a Bacon Cheeseburger for Mrs. Spray Bottle. For $6.99, it included many optional toppings for no extra charge including grilled onions and sauteed mushrooms. This was a well-constructed burger with a moist, but not oily patty with crispy bacon, fresh veggies and a bun that held up to all the ingredients. 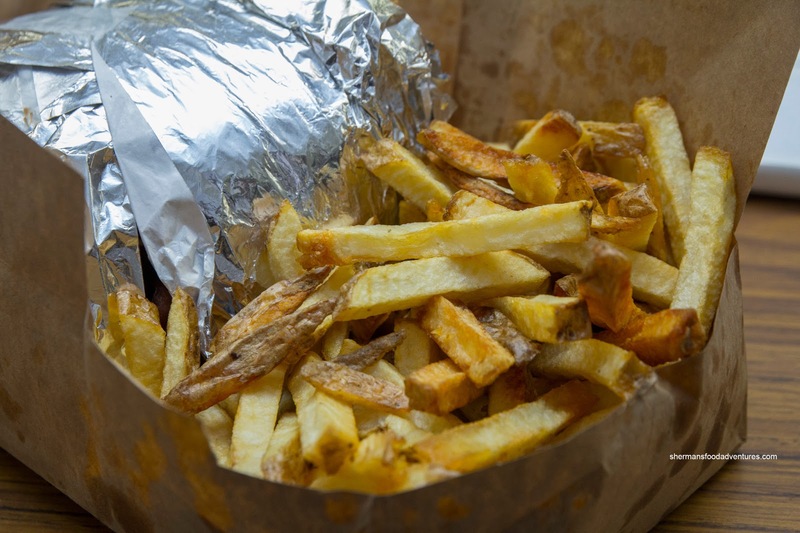 Their Fresh-Cut Fries were starchy while being crispy. Loved how they did basically dumped all of it in the paper bag a la Five Guys style. That was a lot of fries for $1.99. But really... I wasn't here for anything else other than the Super Texx Big Burger ($21.99). This monstrosity consisted of 3 x 10oz patties with bacon, cheese and all the optional toppings one could handle. Despite the novelty of it all, this was actually a very tasty burger. The meat was super moist, meaty and flavourful without being oily. Yes, the bun got a bit soft with all the ingredients, but it still held up. I thoroughly enjoyed this burger. And if you can finish this in-store within 30 minutes, it's free! Even if it wasn't free, I'd gladly pay for it. Possibly the best burger I've had in town (for the price) up to this point. I take back my comment about no good burger joints. Whoops.. Thanks. 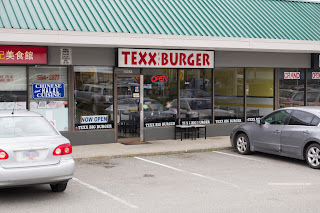 A typo, what I meant is the Super Texx Burger. "Super Texx Big Burger ($21.99). 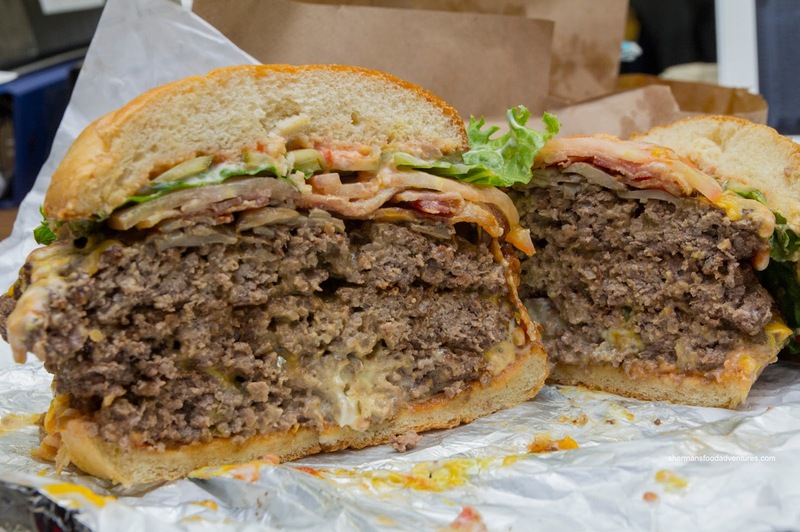 This monstrosity consisted of 3 x 5oz patties with bacon, cheese and all the optional toppings one could handle." @mbsunshine I didn't... too much food! @nitroburn At least the owner said it was the Super Texx... He even told me to call him if I had finished it. So maybe my picture doesn't do it justice? Hey Sherman. I'm at text right now and the super texx is 3 10oz patties and is $21.99 the one you got with 3 5oz patties for $12.99 is the regular texx burger. @nitroburn Thanks, another error on my part, it should be 3 x 10oz. It was the Super Texx I got, otherwise it wouldn't be free if I had finished it. @nitroburn Oh yah, I check the receipt, it was definitely a Super Texx... Just wrong info on my post.